ABOUT: A high school wise guy is determined to have a day off from school, despite what the Principal thinks of that. 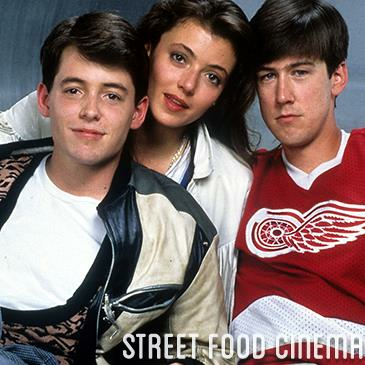 LIVE MUSIC: Visit www.streetfoodcinema.com/ferris-buellers-day-off-la/ for the most current Live Music listing! FOOD TRUCKS: Visit www.streetfoodcinema.com/ferris-buellers-day-off-la/ for the most current Food Truck listing!